Set Sail to Sightsee! Welcome aboard Prudence, our 1911 Maine coastal steamer, for a 1-hour cruise and learn about the local history and area landmarks on your way to view the historic Kennedy Compound in Hyannisport. The Kennedy Legacy Trail, in the heart of the HyArts Cultural District, celebrates the significant role the Kennedy’s played in shaping the history of Hyannis and Cape Cod. The 1.6 mile trail consists of 10 informational signs from Main Street to the harbor, including the JFK Memorial at Veteran’s Beach Each stop provides a brief. Visitors... show more The Kennedy Legacy Trail, in the heart of the HyArts Cultural District, celebrates the significant role the Kennedy’s played in shaping the history of Hyannis and Cape Cod. The 1.6 mile trail consists of 10 informational signs from Main Street to the harbor, including the JFK Memorial at Veteran’s Beach Each stop provides a brief. Visitors along the trail can retrieve additional information by accessing the QR code or dialing the number on each sign. Follow the white sail stencils on the sidewalks leading the way to each stop. Maps available at the JFK Museum, Main Street, Hyannis. 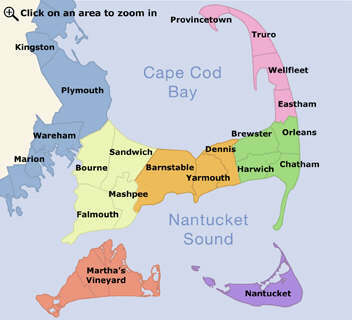 Founded in 2004, Cape Cod Beer is Cape Cod's original microbrewery. We're proudly dedicated to fresh, delicious, hand-crafted beer. Open weekdays 10AM to 6PM and Saturdays 11AM to 4PM. Free tours daily at 11 AM. Tastings any time during normal business hours. Farmer's Market on Fridays from Memorial Day to October 1st. Available for private events... show more Founded in 2004, Cape Cod Beer is Cape Cod's original microbrewery. We're proudly dedicated to fresh, delicious, hand-crafted beer. Open weekdays 10AM to 6PM and Saturdays 11AM to 4PM. Free tours daily at 11 AM. Tastings any time during normal business hours. Farmer's Market on Fridays from Memorial Day to October 1st. Available for private events after regular business hours. The public's love of our snacks inspired us to open our factory for tours in 1985, and since then the Cape Cod Potato Chip Factory has become the area's largest tourist attraction.